Darwin, NT (24 June 2016) – UGL Kentz JV has significantly improved machine downtime, operator efficiency and reduced the prospect of asset damage at its Ichthys MEC-1 Project site in Darwin after commissioning Genie to conduct a round of its comprehensive Genie® Lift Pro™ Machine Specific Operator Training. UGL Kentz JV is responsible for the engineering, procurement and construction of the onshore facilities at Ichthys, including the gas processing plant at Blaydin Point. The engineering firm, which regularly reviews its EWP operator training, determined a round of training prevention would safeguard its fleet in Darwin. It subsequently, appointed Genie to deliver its innovative Genie Lift Pro operator training program, to 60 operators working onsite at Ichthys. 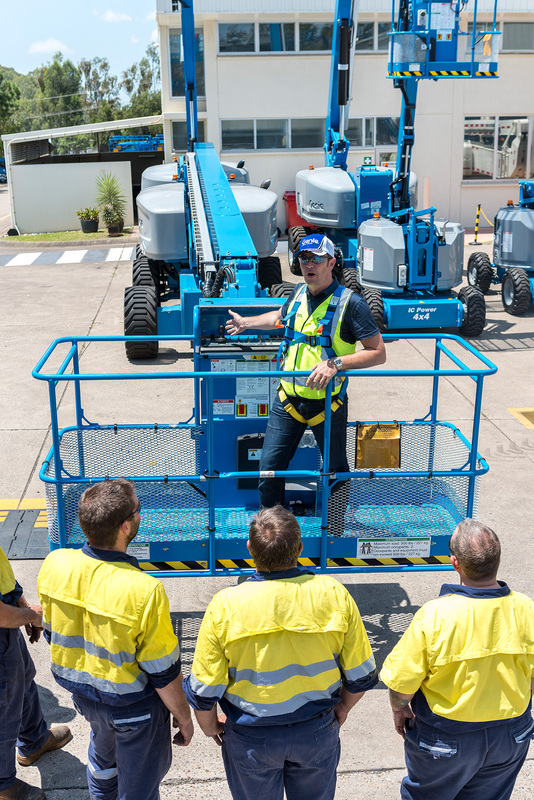 The professionalism and service delivered by Genie was world-class, according to Tuckerman, who has authorised Genie Lift Pro training for another 190 operators at the Darwin site. “You want this sort of partnership with your stakeholders on such a mega project as Ichthys. It really was a preventative action, which has taken our training to the next level,” said Tuckerman. The onsite tuition was led professionally by Mal McIntosh Quality, Genie Training and Technical Support Manager Asia Pacific, Terex AWP Australia, who believes every operator left the Genie Lift Pro training with an enhanced knowledge of the Genie equipment. “The training was four hours long, yet some of the operators considered they had received the equivalent of a day’s worth of knowledge and training,” said McIntosh. The face-to-face training provided McIntosh with valuable insights into the safety measures used by some operators to operate the Genie ZX-135 boom lifts. “Through Genie Lift Pro training, we aim to promote a wider understanding of the safety processes built into our machines and to ensure the normal operational functions become second nature to operators. We also want to make sure operators are not getting into situations that could be avoided,” McIntosh said.